We would like to thank Michelle Warren of the Arion Therapeutic Riding Association for this lovely testimonial! 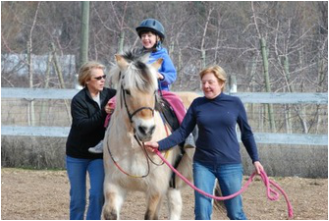 ATRA has been in operation since 2009, providing therapeutic horseback riding, traditional riding lessons, horsemanship and driving to a wide range of clients. We are so pleased to know that Coopersridge Saddle Pads are helping all types of horses and riders!